I’ve mentioned my love of gorgeous and classic watches before, and the latest addition to my growing collection is an Old England watch, from Time Squared. Old England launched in 1967, and specialise in making bold and distinctive British watches, many with Union Jacks on them, that look really cool. As soon as I saw it, I fell in love with it, and so has everyone else who's seen it. I love the thick black glossy strap, but my favourite part is the clockface itself. 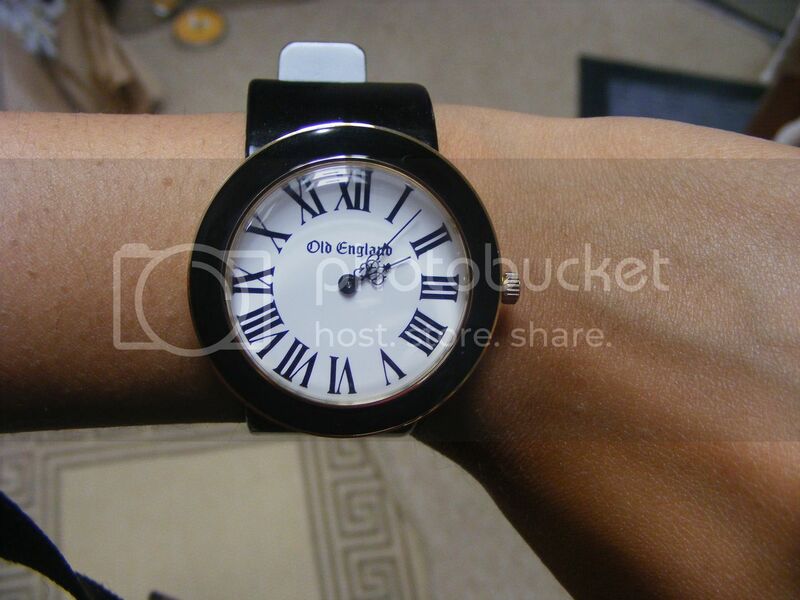 It has roman numerals on it, which really makes it look like something from Old England. I love how comfortable it feels on my arm and how it's not too 'in your face', while still making a fun statement. The watch is definitely a unique watch, and is really unlike the other, more simple, watches in my collection. Retailing at £90, it's definitely worth it. It's the little details on the watch that I love as well. The minute and hour hand look like they're really intricately made, and the beautiful gold detailing on the watch make's it look more special. As I mentioned, Old England watches are bold and brave, and I loved that on the packaging, it had a Thackeray quote: 'Bravery never goes out of fashion'. So, all in all, you'll definitely see me wearing this watch a lot (everyone who's seen me out and about in the last week or so will have already seen me flaunt it) and I definitely recommend you check out the brand and more from Time Squared. 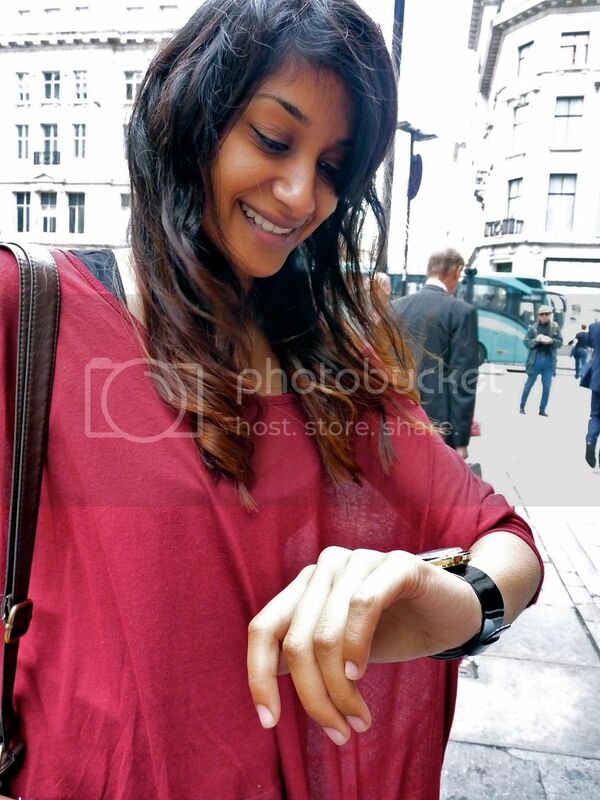 As you already know, I absolutely LOVE your watch, Sherin! Best. watch. ever. Although I don't own any, I've always liked their watches. So unique, I love it! My current New Look watch is conveniently running low on battery - excuse to buy! although I prefer sci-fi design when it comes to hand watches, this one is really stylish. love this.. can I have i? Oh it's face is amazing! Like a proper old fashioned clock :) Love it. 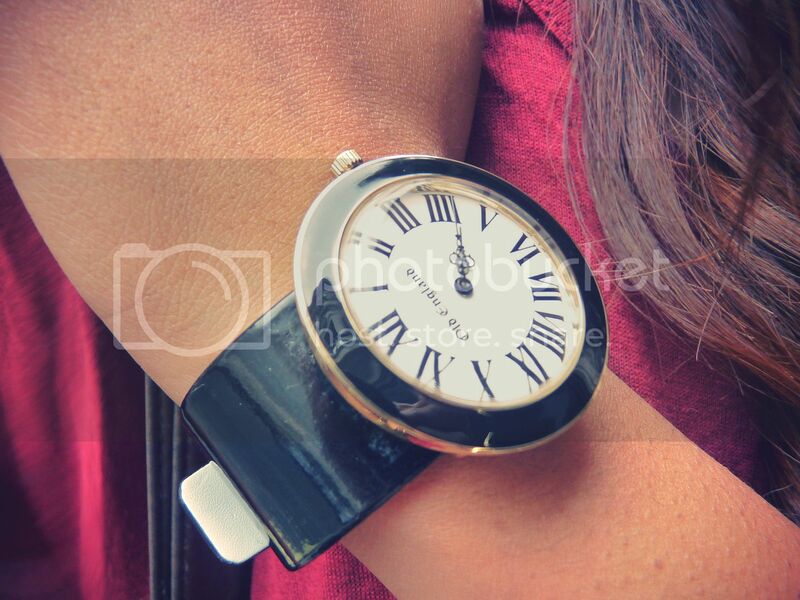 That is a gorgeous watch! I love that the numbering is quite traditional, but the actual watch itself is so modern. The combination is perfect. I love that watch. It definitely makes a bold statement. You know how I feel about this watch already. LOVE IT!!!! cool watch! It is a strong statement piece! Awesome watch! I am just about to purchase one myself. Is this the larger 56mm or the 36mm one?